The water scarcity problem in Africa is a global concern, therefore the need for transporting, treating and distributing wastewater and clean water is of high importance making the need for water pumping quite huge. Sub-Saharan Africa is among the regions in the world with the greatest water needs, around 319 million people in this region are without access to reliable water sources; hence, according to Bavon Kabundi of Ebara Pumps in South Africa, Africa is in dire need of borehole water and investment in the sector. Consequently, the need for pumps is quite critical in that regard. According to Schrader Jana of Oddesse a manufacturer of pumps in Germany, water supply as well as water disposal is not developed in many parts of Africa especially in Central and East Africa; therefore, the demand for water pumps has increased dramatically in the last years. “Beside pumps for water supply and water disposal submersible pumps gain more and more importance especially in mining. For example the countries of North Africa have a big demand on submersible motor pumps to use in water supply. The countries anchored at the Atlantic coast have a big demand on pumps to apply on their offshore platforms. In South Africa submersible motor pumps are used in mining for water supply and for water level regulation,” he adds. The selection of a pump always depends on very many factors. There are many different water pumps for several applications available. According to Jarred Zhang, Marketing Manager for BLDC PUMP Technology Company Limited, your real needs, labor cost, and product service life are the top most considerations when selecting a pump. 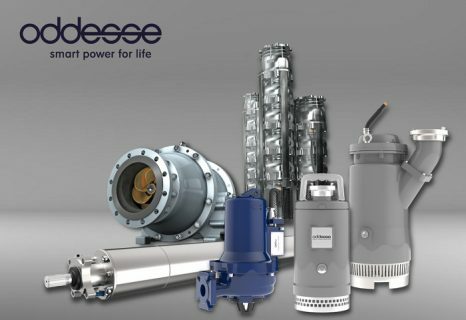 For example, slim and high efficient submersible motor pumps for the delivery of drinking water from deep wells, drainage pumps for draining agricultural areas or for water level regulation in mining and construction; or sewage pumps with cutting unit for the delivery of sewage water and the use in sewage treatment plants etc. “Trends of irrigation tools in Africa is smaller, more portable, more convenient for use, and more durable,”added Jarred. However, Valérie JOGUET of Side Industrie notes the need for a buyer to know that machines are also manufactured hence when purchasing, they should focus on that which will meet their need so as to cut out costs on future damages, for instance, the DIP system eliminates all the main problems of retained volumes of effluent such as dangerous gases (H2S) , smells, sand and grease accumulation, equipment corrosion, clogged floaters, and access safety. Ms. Linda Gradidge of Grundfos a pump manufacturer in Denmark mentions that, reliability and simplicity plays an important part. At least 85% of the total purchase price is based on energy consumption and the balance is based on maintenance and total cost of ownership. It is also very important to buy products that are of high quality and offer after sales service, spare parts and support. Mr Jarred from BLDC PUMP Technology Company Limited also added that a very small size pump with a powerful performance like the BL series pumps, is more suitable for the solar panel system.It can start work at a very small current and still maintain a constant power consumption when voltage exceeds the rated voltage thus maintaining a longer life span. Clients are often seen going for products that include world standards for quality purpose and with special designs. 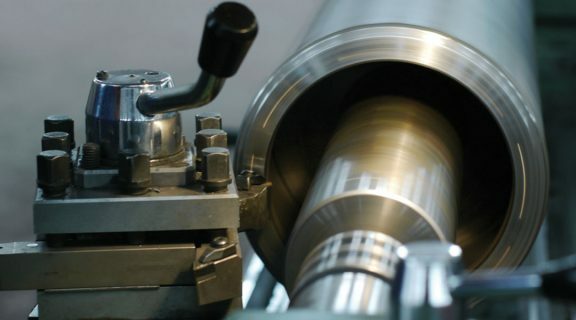 According to Abdullah DENGIZ International Business Development Manager at Maxisu Pump Motor, there are three stages required for best results in productions; The first one is qualified raw materials and supplies, the second one is the requirement of constituting a high-level of labor quality in each phase of the operation and the last on is desire to achieve the perfection. “If we are producing a qualified product, the raw materials and semi products that we use, should also be qualified. These three facts complete each other and present an absolute quality. As Maxisu, we believe that we accomplished this and we rely on our products such as Stainless Steel Submersible motors and XSP Stainless Steel Submersible pumps,” said Abdullah. Cemal Uslusoy of Yildiz su Pumps in India, further adds that, often buyers look for the cheapest option and are faced with unnecessary break downs, high downtime and often long interruptions of water supply and treatment. This can lead to added costs instead of just getting the reliable products the first time around. According to Vishal Paghadal of Ugam Worldwide in India, very high quality submersible pumps do not come cheap. However, once the consumer purchases them, they are accompanied with access to spare parts in a short turn around time since they are sold by reputable OEM companies making the quite reliable. Charlotte Alexander, marketing director of Sun Pumps a company based in USA uniquely known for producing large variety of pumps ranging from 50watts to 125kW panel direct pump system, comments that some of the new technology breakthroughs in the African market are the newer solar direct VFD drives stating that they have been a very good quality advance in the large pump systems. Charlotte further sees larger irrigation systems in the higher HP range such as powering 300 meter Center Pivot Sprinkler Systems or large 100 kW+ flood irrigation systems as an emerging trend in the industry. Apart from price, application is also very important. Gavin from Pumps for Africa in South Africa mentions that, one has to make sure that the pump will be able to tolerate the medium being pumped, so many times information is left out of the requests and the incorrect pumps are being used for pumping. “Recent years have seen the Submersible pump market flooded with lower quality units especially where it comes to cutter or grinder pumps. It is imperative to ensure the cutter or grinders that the pumps are fitted with are suitable for ones application,” he adds. Additionally, borehole details also determine the selection of the pump. As Mr. Dietmar Stuck of Pumpmakers GmbH in Austria mentions, details like: depth, dynamic water level, rest water level, borehole diameter, purpose of borehole, surface static head, friction head and water quality are very important if one is to choose the right pump for the job. According to Deniz Sonmez of Akmisan Water Pumps in India, delivery terms are very important because they can tell you how many days you will have wait for after sales service in case you have any problem with your pump. 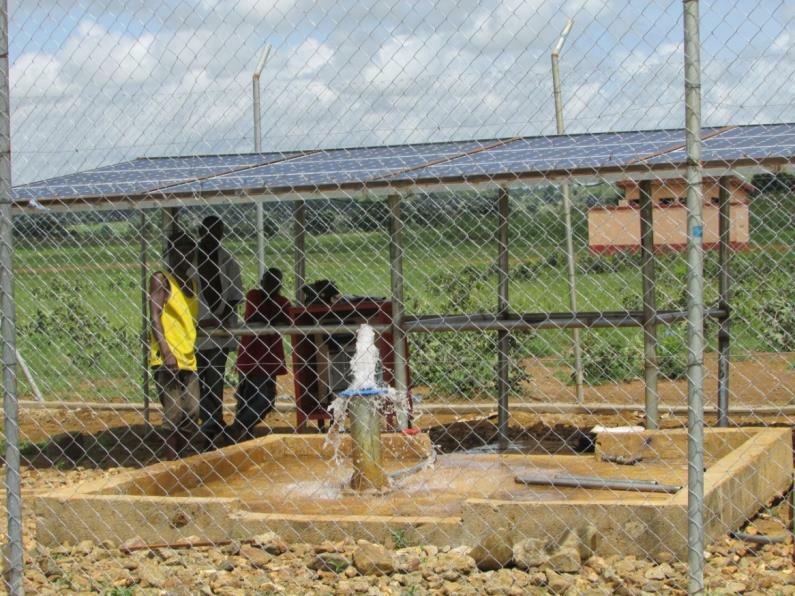 A submersible water pump for boreholes is hard to be installed. Hole drilling cost is also expensive. A reliable submersible pump could save you a lot from future re-installation costs and also last the lifetime of the borehole. Besides the pump itself, there is also the need to consider the control panel. A good control panel should not only be easy to use with clear instructions, but it also needs to be equipped with protection parts to protect the pump from dry-run, over current, and lose phase. According to Eason Yeh of Hung pump a water pump manufacturing company in Taiwan, the submersible pump control panel is not easy for people at home. The wires inside always confuse people, and the manual on/off control is not convenient too. In that case, a single phase electronic controller is an important part in this situation. “Furthermore, the submersible water pump is used to supply water for people’s consumption. The water might be used for drinking; therefore, I highly suggest buying stainless steel 304 products to prevent any toxic materials from the pump steel,” he adds. The industry is constantly changing and updating with the latest technology to automate and reduce fiscal labor especially for call outs to pump stations. According to Lorraine Smart, Marketing Manager of Xylem Water Solutions South Africa (Pty) Ltd there is a move across all areas within the water and wastewater industry which aims to minimise the use of chemicals in plants and to be more automated. 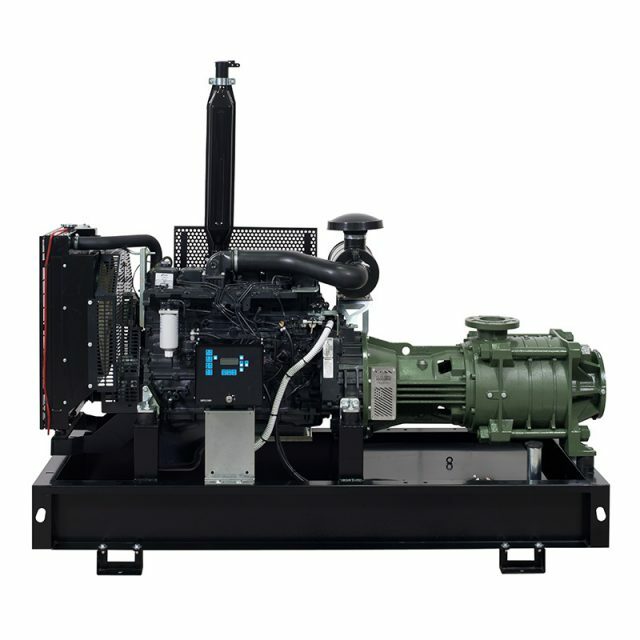 “Our Flygt Concertor pump system integrates the benefits of a smart pump station controller. With the correct inputs, this allows the pump to operate independently, to control the sump level, clear blockages in the pump, clear sediment from the discharge line and to keep the sump as clean as possible all the way down to levels that would normally require a separate pump unit. These technologies also improve the process should there be an excess amount of algae present in the water. Puranova’s Managing Director Hazemel Mahi, notes that Solar powered DC and AC pumping systems have been growing exponentially in the African market thanks to high diesel and other fossil fuel costs and insufficient coverage by national grids particularly to rural and agricultural areas. 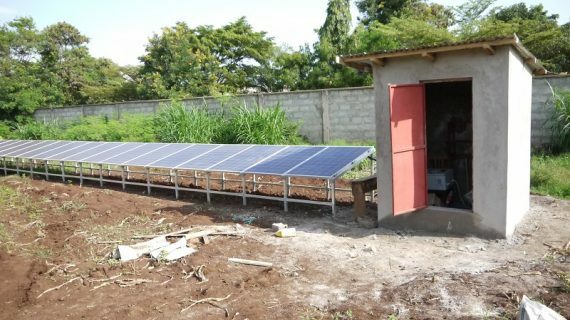 “MEA has been cited in a recent market study as the largest global market for solar pumping, with agriculture being the largest consuming segment followed by drinking water applications. Most recent innovations in water pumping are focused on minimizing the energy required to run a pump; whether by using variable frequency drives (VFDs), sensors and automation systems, or renewable energy sources to run the pump,” said Hazemel Mahi.